This is especially true of Indo-Chinese tigers like Phet  now being cared for in Luang Prabang  and her two brothers who died after being taken by a hunter in Laos. At the beginning of the 20th century, perhaps 100,000 Indo-Chinese tigers were strongly in control of their existence in Laos, Burma, Vietnam, Cambodia Thailand and Malaysia. Today, some specialists put the total population at around 1,500 and even that is a guess, with many areas of supposed tiger populations failing to show any evidence of their existence. Perhaps about 500 to 600 live in Laos (mostly in the south), Cambodia and Vietnam; and between 500 and 1,000 live in Burma, Thailand and Malaysia. Little is known about the tiger population in Laos but in neighbouring Vietnam, where tigers have been studied for the past 20 years, the number is put at between 200 and 300  a massive reduction from a century ago as a result of habitat being cut to a fifth of its former size and the unceasing Chinese demands for tiger body parts for folk medicines. The WWF reports in its Summer 2000 News: "Despite a drop in the consumption of tiger bone medicines, tiger poaching continues unabated. "Major markets for tiger products flourish openly in Burma, Cambodia, Indonesia, Laos and Vietnam  and in some areas, trade has shifted to skins, teeth and claws." 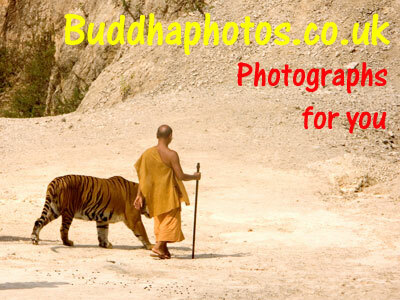 It is demanding stronger action in all those countries to protect tigers. This may fall on receptive ears in Laos, which is seen widely as trying to improve the security of wildlife in its extensive conservation areas. 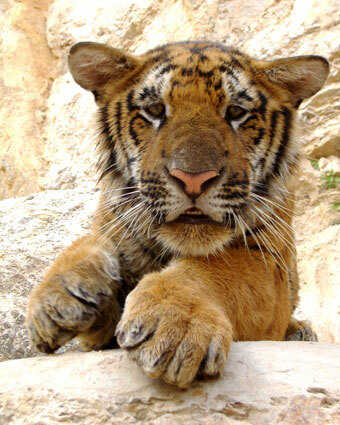 There has been no systematic research into tigers in Laos, Cambodia, Burma or Malaysia. But a survey showed far fewer tigers in Burma than had been expected  and in Cambodia, during and following the years of war and violence, tigers were, and are, routinely killed and sold to the Chinese medicine trade. In Laos, conservation areas have been set up and tigers have been seen in 16 of them, raising optimism about their survival prospects. Hunters, however, are an ever-present danger while Laos organises an effective protection system  and the country is embarking on an era of habitat-threatening industrialisation, expansion of power production with hydroelectric schemes and road and rail building. Although Laos (unlike its neighbours) has not signed up to the Convention on International Trade in Endangered Species, it is taking tiger protection seriously and has sought international funds to set up enforceable conservation areas. Despite this and the conservation efforts in Thailand, there are grave fears for the very existence of the Indo-Chinese tiger. Elizabeth Kemf, the WWF international policy and species officer, commented: "The Indo-Chinese tiger is probably disappearing faster than any other subspecies of tiger. Every week at least one is trapped, shot or poisoned." Some question whether the next Chinese Year of the Tiger in 2010 will see the Indo-Chinese tiger still surviving in the wild.